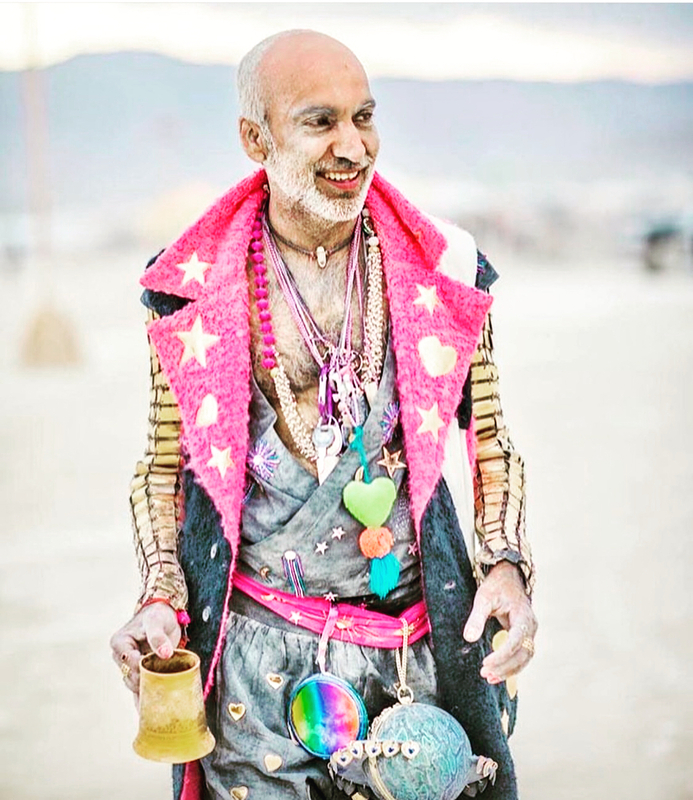 Inspiring and impressive, Manish Arora is a designer who lives in the fantasy world. Iridescent play of colour animate his dramatic designs that turn heads, Manish Arora is adventurous. Ranveer Singh, Bollywood’s dapper dandy whose silhouettes have gotten only bolder, is quite a fashion killer. He is not afraid to test the boundaries of fashion. Ranveer is pretty much on the exaggeration wave that’s everywhere in fashion right now. Who better to collaborate with? 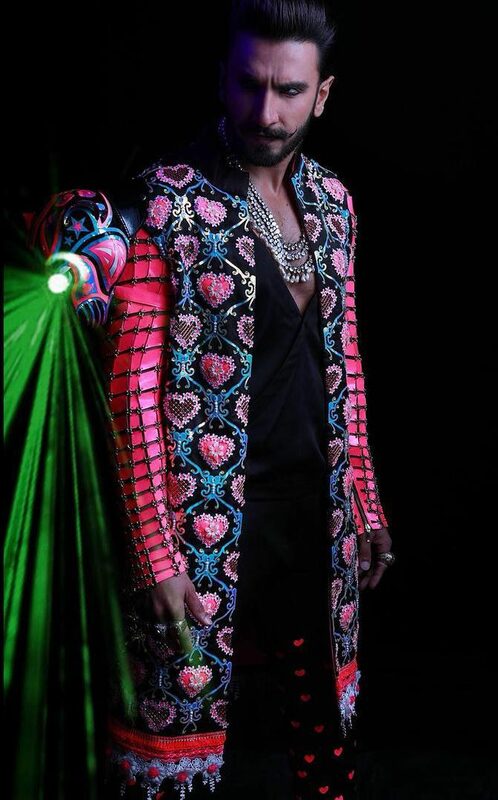 Manish Arora and Ranveer Singh are so similar in their design aesthetic. Ranveer likes his wardrobe to do the talking, whereas Manish only speaks through his designs. 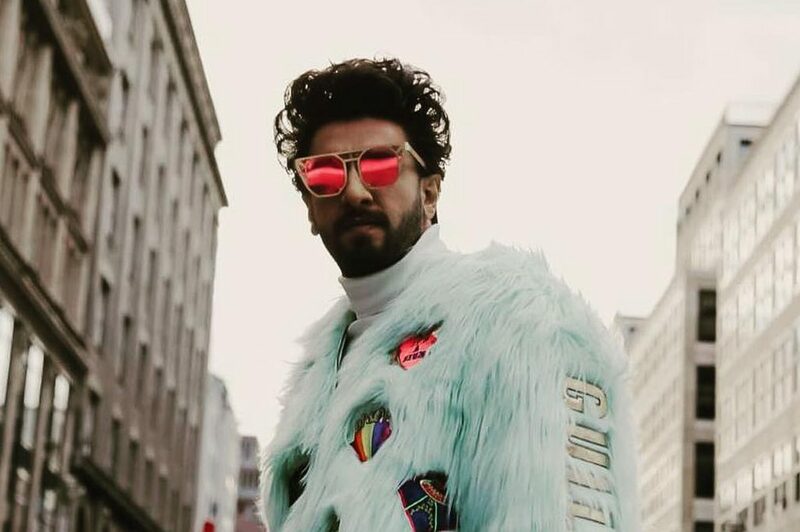 Ranveer Singh was recently spotted wearing a custom jacket designed by the extraordinaire – shouting in front of urban walls, the faux-fur jacket yells ‘freedom’, the jacket is more than just an attire. The embroidery applique is more than just playful, eye the quirky messages doing a round – Manish’s idea behind the sheath? ‘We are rare, we are our own heroes’. Intricate embellishments, Manish Arora’s signature pink fluro, the heart motifs, Ranveer went snazzy for his wedding reception party. Ranveer’s kohl rimmed eyes formidably convey an important cue – he is confident, he is fearless. And what does Manish Arora’s design divulge? Just the same. 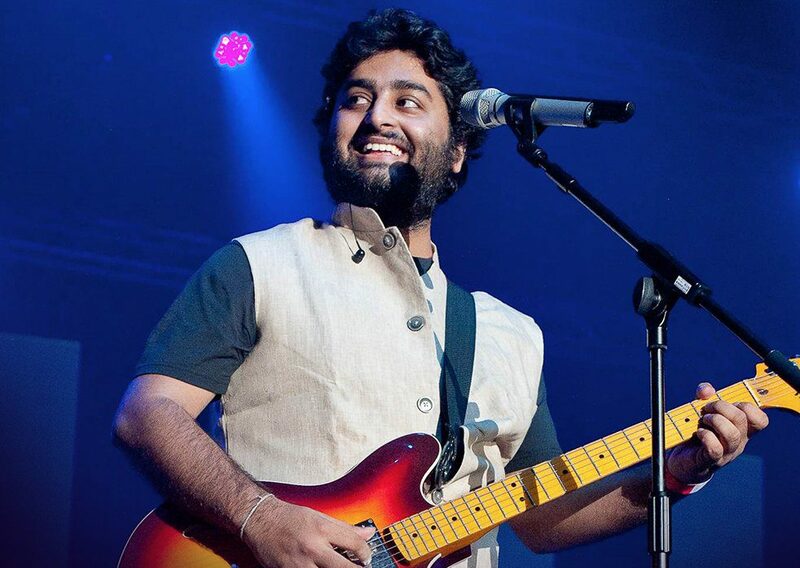 Often mocked for his sartorial choices, it is whammy to see a mainstream Bollywood actor courageously treading a path that nobody else in the industry is taking a chance upon. And that speaks volumes about the kind of character Ranveer Singh is in real life – daring, dynamic and unworried!